The Gem State has a lot to offer but a wide variety of postsecondary education options is not one of them. Make no mistake, there are some excellent postsecondary educations options dotting Idaho's landscape, but there will never be the plethora of options that are available in other states like California and Massachusetts. This is especially true in the communications space. 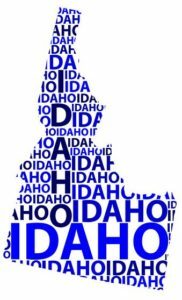 In fact, Idaho has just two universities that offer graduate education degree programs in communications and both are public universities tied into the state's postsecondary education system. The two schools are Boise State University in Boise and Idaho State University in Pocatello and because both schools are funded by the state, the graduate degree programs in communications will look remarkably similar. There will be some differences however as no two programs are the same. Yes, both degrees are Master of Arts programs and yes, both schools will have very similar curriculum and graduation requirements. But the program at Idaho State is going to be slightly more flexible than the program at Boise State and the opportunities outside of the core coursework regarding internships and projects will be different as well. The state also boasts a solid market for communications professionals. Everyone from AmeriCorps to the Idaho Power Company are looking for marketing and communications professionals and they are willing to pay upwards of $100,000 for the right candidate. Even the state itself and some of its other universities are looking for competent communications professionals and marketing coordinators. But we aren't here to talk about the corporate world of communications just yet. Here is a brief primer of the programs at Boise State University and Idaho State University. What to Know: The Master of Arts degree in Communication is designed to be a two-year graduate program that requires 31 credits for graduation. Students are expected to choose from three specific areas of study: Relational and Organizational Studies; Critical/Cultural Studies; and Media Studies. The program of course has many core requirements that will be common throughout most communications programs, but students also have some freedom to explore the different areas of study and can have a hand in helping plan the final thesis and project. To apply, students need to show they have earned a Bachelor's degree in Communication or a related field. They also need to show a scholarly writing sample; a list of communications courses the student has taken; three letters of recommendation; GRE scores; and a statement of interest in being a graduate assistant if interested. What does it cost? The cost of the program is certainly not cheap, but it isn't all that much worse that what you will see at other public universities across the Western United States. For a full-time Idaho resident, tuition fees are roughly $8,700 per year. Full-time non-residents pay $14,450 in tuition a year. All things considered, these tuition prices are not all that steep. In fact, many would consider these prices very reasonable. In addition, communications students have access to usual financial aid and loan packages and are eligible for a GEM Scholarship. That scholarship waives non-resident tuition for out-of-state and international graduate students with a GPA of at least 3.00. It is worth nearly $30,000 over the course of the two-year program. What to Know: The Master of Arts in Communication program is designed to be intentionally flexible for its students. The flexibility is supposed to allow students in the program to supplement their communications coursework with credits from other departments. Students are required to complete 30 credits to graduate, which includes 15 credits from 6600-leve courses and 15 credits in Communication, Media, and Persuasion. Students will also be required to produce a graduate degree paper and will choose a thesis option plus additional thesis-related credits. Students can apply for a graduate assistantship and are expected to take between 9-12 credits per semester. One more note is that the additional courses that students take need to form a "cohesive program of study". What does it cost? The tuition at Idaho State is very comparable to the tuition at Boise State, which is to be expected considering both are state universities. According to the ISU website, total tuition for a full-time graduate student and Idaho resident is $4,464 per semester ($3,583 for tuition and $881 for the fee) and part-time students who are Idaho residents can take classes for $447 per credit. Non-residents pay the same amount in tuition, but the fee is substantially higher. The total tuition for a graduate student and non-resident of Idaho is $11,852 and part-time students can take classes for $687 per credit. Like other schools, Idaho State offers an array of financial aid options including but not limited to, scholarships, loans, and federal and state grants.